Rep. Mimi Stewart (D-Albuquerque) in floor debate on memorial calling for a constitutional amendment to overturn Citizens United. Photo by Matthew Reichbach. The state House of Representatives voted to ask Congress to send the states a constitutional amendment that would overturn the Citizens United Supreme Court decision. The House voted 38-29 with all Democrats, one Republican and one independent voting for the proposal. The Citizens United decision is a controversial and unpopular decision. One effect of the Citizens United decision is in allowing corporations to make unlimited “independent” expenditures, much of it undisclosed, that aid or oppose political candidates. 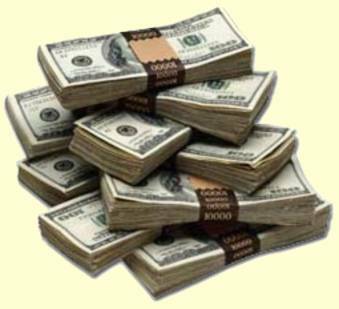 These “Super PACs” have come to special prominence by spending millions of dollars in the current Republican presidential primary. This includes $10 million in donations from Sheldon and Miriam Adelson to a Super PAC that some say is “singlehandedly keeping Newt [Gingrich] alive” in the presidential race. 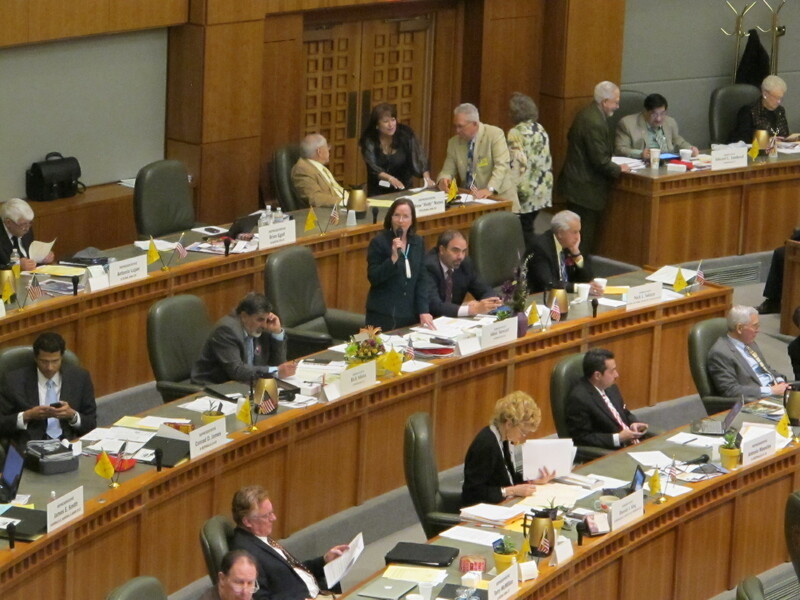 Stewart’s memorial, which would not change existing law but rather petitions the New Mexico congressional delegation, encountered opposition from a few Republicans during the floor debate that preceded final passage. In an interesting note, Minority Leader Tom Taylor (R-Farmington) said he did not believe the memorial went far enough. “You have the right to speak but you also have the responsibility to let people know who you are,” Taylor said. This may have been a reference to the greatly reduced donor disclosure that has been one of the results of the Citizens United decision, but it was not entirely clear. Taylor ultimately voted against the memorial. He said that if Citizens United is overturned, corporations would just funnel their money into other entities to make their views known. Rep. Dennis Kintigh (R-Roswell) reprised his role from the House Consumer and Public Affairs Committee in opposing the memorial and questioned Stewart on the memorial. Kintigh said he found the memorial “chilling” and said it was a case of free speech. Rep. Moe Maestas (D-Albuquerque) disputed this, and said that corporations do not deserve the same rights as people. Rep. Brian Egolf said that he had no problems with corporations and, in fact, said his law firm is a corporation. A similar memorial expressing opposition to Citizens United failed in the House in 2011 by a 33-34 vote. Like this year, three Representatives were absent for the vote. Reps. Tomas Garcia (D-Ocate), Don Tripp (R-Socorro) and Andy Nuñez (I-Hatch) voted “no” in 2011 and switched over to vote for the memorial in 2012. Reps. Bob Wooley (R-Roswell) and Paul Bandy (R-Aztec) missed the vote this year after voting against it in 2011. Rep. David Chavez (R-Los Lunas) was absent for the votes in both years. However, Wooley, Bandy and Chavez were all present for the floor debate on the memorial, prior to the vote being taken. Sen. Steve Fischmann (D-Las Cruces) has an identical memorial in the Senate. That memorial passed the Senate Rules Committee and now awaits a hearing in the Senate Judiciary Committee. Rep. Conrad James (R-Albuquerque) spoke of proposing an amendment that, in exchange for eliminating the right of corporations to expend unlimited money on campaigns, would exempt corporations from all income taxes. Stewart responded by listing a number of advantages afforded to corporations in the tax code – the most obvious one being limited liability, a privilege not granted to individuals. Stephen Colbert’s Super PAC “Americans for a Better Tomorrow Tomorrow” raised over $1 million. The Fix blog at the Washington Post believes that this is helping educate the public about Super PACs. The Tea Party has been a force in politics, especially among conservatives, since it gained prominence in 2009. The New Mexico groups gathered for their third rally at the Roundhouse on Tuesday — but this time, the Tea Party had company. Occupy groups from around the state gathered on the east side of the Roundhouse — and outnumbered the Tea Party protesters on the opposite side of the Roundhouse. The two rallies had similarities — crowds of New Mexicans holding signs and cheering on speeches from speakers. But the similarities were superficial. The Occupy crowd was filled with signs calling for the end of corporate involvement in campaigns and signs in Spanish opposing Martinez’s proposal to repeal drivers license for undocumented immigrants. The Tea Party signs were in support of the drivers license repeal and called for mandatory voter identification at the polls. Griego also signed the 99 Pledge in front of the crowd. The Democratic state Senator, who is running for Congress in New Mexico’s 1st Congressional District, said he would support a Constitutional Amendment to overturn Citizen’s United, the controversial Supreme Court decision that allows corporations to contribute unlimited amounts of money in support or opposition to a political candidate. At the Tea Party rally, Marita K. Noon, head of the energy group CARE, railed against the possible listing of the Sand Dune Lizard as an endangered species. Opposition to the listing of the lizard has become cause célèbre for conservatives, especially Congressman Steve Pearce (R-NM). The Occupy group ultimately received more media attention for an attempted — though unsuccessful — “mic check” of Martinez at the beginning of her State of the State address. The Occupy protesters involved were quickly ushered out of the room. The two candidates with major presences at the Tea Party rally were Rick Newton, a Republican running for Congress in New Mexico’s 3rd Congressional District, and Greg Sowards, running for U.S. Senate.